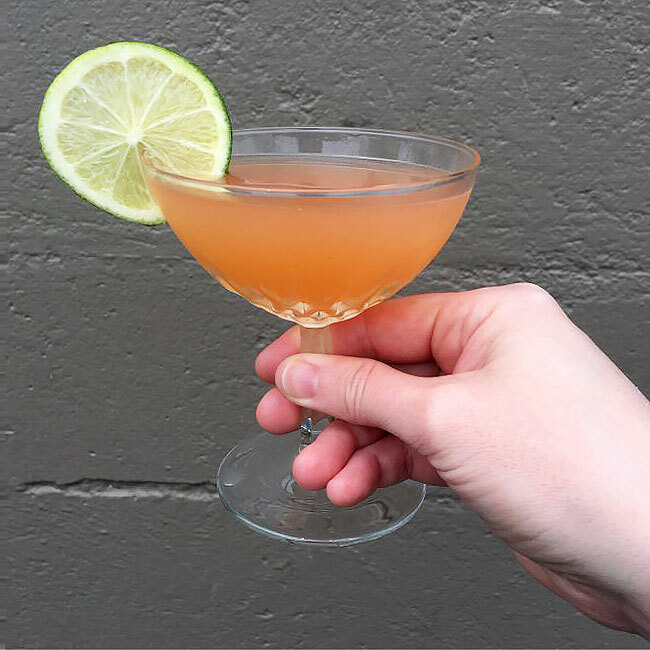 New Deal founder, Tom Burkleaux loves this gingery gimlet for its zesty, refreshing zip. Not too sweet, not too sour, just right. Combine ingredients in a shaker with ice. Shake until chilled, about 10 seconds. Serve up, with a lime wheel. If you can’t find Pok Pok SOM Honey Drinking Vinegar in your neck of the woods, substitute honey syrup: honey dissolved in an equal amount of water.